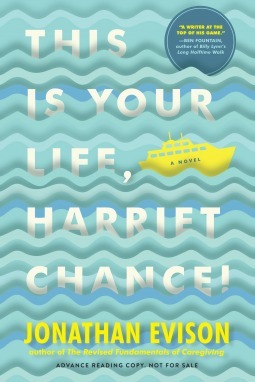 Jonathan Evison drew me into his bittersweet novel, This is Your Life, Harriet Chance, right away with his unusual protagonist, Harriet Chance, who reflects about the trivial and highlights of her life which didn’t turn out according to her plans. As a widow of two years , still exhausted after caring for Bernard, her Alzheimer’s afflicted husband, she discovers he entered a drawing for an Alaskan cruise – and won. She uses this opportunity to scatter his ashes, with dreams of moving on into her twilight years. Harriet believes Bernard visits her frequently and speaks with him, as if he were still alive. These conversations reflect the highs and lows of her life, alternating between sweet and sad. During the cruise, a lifetime of deception is revealed to her. The narration jumps from Harriet at age nineteen, then to Harriet at age sixty. 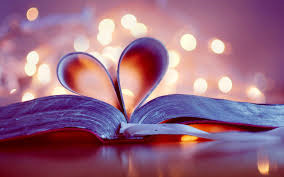 The out-of-order narration style often distracts in most stories, but Evison’s choice of this narration complements the ups and downs of Harriet’s life. Harriet is endearing, but not without faults of her own. Sometimes she is the victim and other times the perpetrator of wrongs done to others. Above all, Harriet is human, and Evison captures the joys and regrets of a twentieth century woman’s life. This is a charming novel about soldiering on through disappointment, when your dreams don’t work out as you had hoped, and how love can both surprise and injure us. .Highly recommend. I received a copy of the book from NetGalley in exchange for an unbiased review.